A canoe charter is a great activity for a group of friends or family look to surf some waves together! During your charter, you can paddle around Waikiki, catch some waves, or even race with another Outrigger Canoe! A licensed First Canoe Captain and Second Canoe Captain will be on board every canoe to assist with paddling, safety and wave catching. Choose from multiple times throughout the day. Perfect for groups and family. 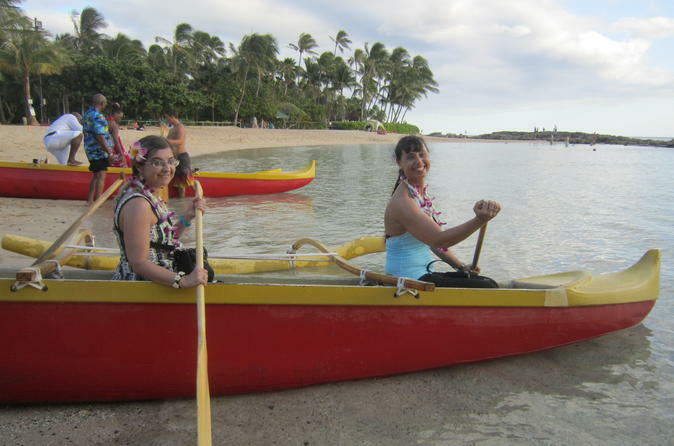 If you wish to book two canoes at the same time and race, it is a perfect way to enjoy Waikiki. Please note exactly how many people are signing up.